This was really powerful! I lost my Grandma a few years ago and this made me miss her. You captured the love for a Grandma and the pain of seeing her health decline perfectly. The use of clinical facts makes the personal story of Grammy that much more touching. They take what’s abstract away from Dementia and turn it into something understandable but no less terrifying. There is clear indication of the writer doing her best to understand this thing that took over her grandmother. That was awesome, and if you want to broaden your horizons on the topic talk to Dana Gohering. 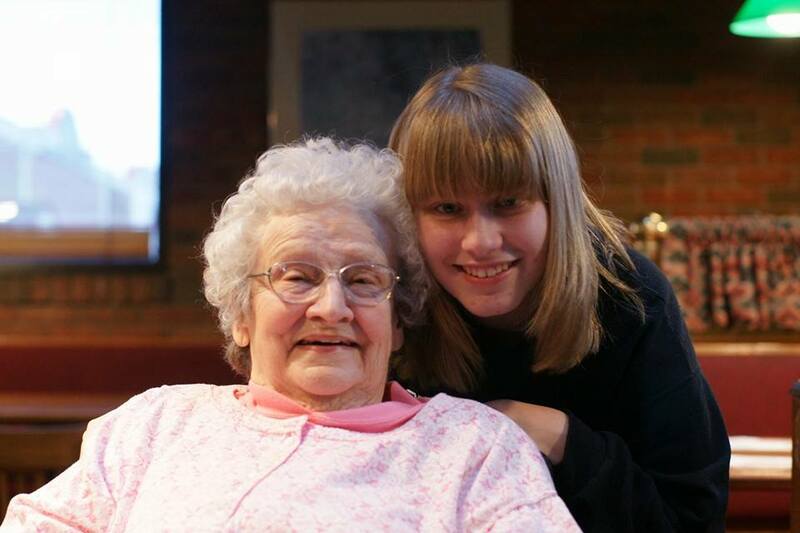 She’ s doing a similar dementia project involving her grandma for our writing SCE. But the story and information just blend so well together, and your style is brilliant. I loved it. Kristin, can I first say that I am so sorry. I wish I could hug you and talk to you about all of this. I never experienced dementia, but I know the loss of a beloved grandparent. You are doing so much to remember, and that will mean everything to you as your life goes on. Your story has brought me to tears (I mean literally… I’m sobbing right now…). You are a great writer, and you are capturing those perfect moments that make this both sad and happy. Keep capturing it all. Keep hugging and supporting your mom. This is a terribly rough journey, and it is really unfair that you have been forced to walk it. My love is with you always, my sister. this was deeply moving and some sorry that this is something you have to deal with. My grandma hasn’t gone through this yet but me and my mom are dreading it. after reading this i feel like a have a better perspective of how to deal with this thank you. Thank you, Katt, that means a lot.